The Republic of Ireland kick-off their 2018 World Cup qualifying campaign with a visit to Serbia on Monday night. Read our unmissable Serbia vs Ireland betting preview with predictions, betting tips, probable line-ups, team news, best odds, bookie promotions and no deposit free bets on the World Cup qualifiers! Slavoljub Muslin has now taken charge of the national side and has been handed the tricky task of guiding Serbia to their first major championship since the World Cup in 2010. Serbia did not qualify for the European Championship this summer as they came away with just four points from their eight qualifying matches after losing five of those games in a relatively easy group that included Armenia, Denmark, Albania and Portugal. Anyway, Serbia are unbeaten in their last four friendlies with 3 wins and a draw in their last game against Russia and they beat Ireland 1-2 in Dublin when the sides last met in a 2014. Premier League players Branislav Ivanovic, Dusan Tadic and Marko Grujic are all expected to start as well as Newcastle striker Aleksandar Mitrovic while Nemanja Matic is absent and will be replaced by Gudelj. Other key players will be CSKA Moscow’s Zoran Tosic, Liverpool loanee Lazar Markovic and Schalke 04 central defender Matjia Nastasic. Ireland begin life without talismanic striker Robbie Keane after he brought the curtain down on his record-setting international career with a goal in the 4-0 friendly win over Oman last week. Their Euro 2016 campaign was fairly successful as the "Boys in Green" recorded a draw against Sweden and a snatched victory against Italy, either side of a 3-0 defeat to Belgium, before giving France a scare in a 2-1 defeat in the last-16 round. James McCarthy’s absence through injury prevents O’Neill from starting with his preferred midfield unit. Wes Hoolahan, Jeff Hendrick, James McClean, Robbie Brady and Glenn Whelan will start in the middle of the park while Shane Long or Jonathan Walters will spearhead the attack. Defenders Seamus Coleman and John O'Shea have been declare fit to play. Brighton and Hove Albion's record signing Shane Duffy is suspended. 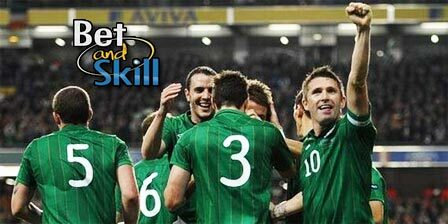 "Serbia v Ireland predictions, betting tips, lineups and free bets (World Cup qualifiers - 5.9.2016)"